To begin to understand the rich history of Indonesia, one must embark on some its most remote islands. 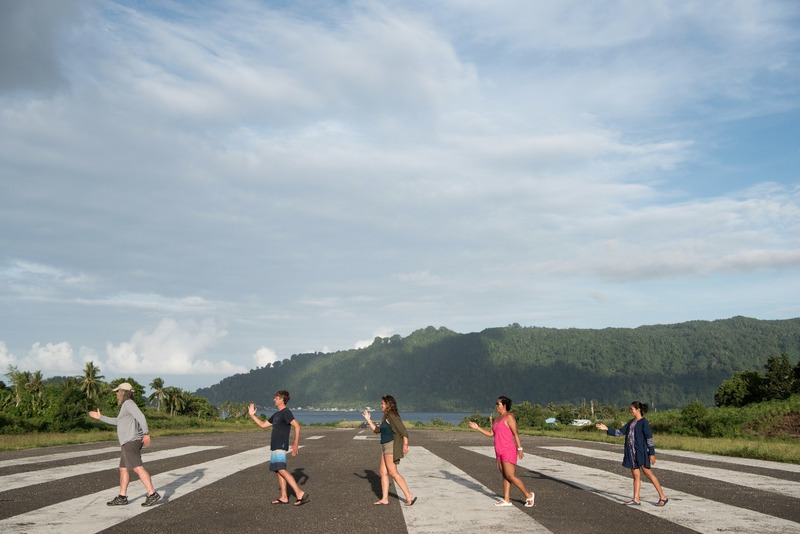 The 11 islands that make up the "Banda Islands" were the world's sole source of nutmeg and mace, the fragrant gold that sparked the European Age of exploration and helped finance the Netherlands, the richest of all 17th century countries. The 11 Banda Islands are located in the heart of Banda Sea, which is the deepest sea in Indonesia. Despite its remote location, European ships sailed there from the early 1500's in search of the "Gold" (Nutmeg) that grows on their special trees. The value of the Dutch East Indies Company (VOC), which controlled these spices, was in today's currency worth more than Apple Corporation today. These islands shaped the history of modern international trade. Today, April 24th, 2018, Sequoia sails 100 miles southwest from Koon Island, Seram Archipelago to The famous Banda Islands. The cone-shaped Banda Gunung Api welcomes us to the heart of Banda Archipelago. It is fascitinating to realize that very little has changed on this archipelago since the first Europeans arrived, in 1512. This volcano is also known as "The Etna of the Banda Sea." It raises 4,000 m/ 13,000 feet from the sea floor with cone of a 7.0-km/ 4.3-miles wide, most of which is submerged under water. Several episodes of caldera formations are believed to form the Islands of Neira, Banda Besar, Syahrir and Batu Kapal. The last recorded eruption in 1988 subsequently covered the reef in lava, however the reef has recovered faster than anyone expected. 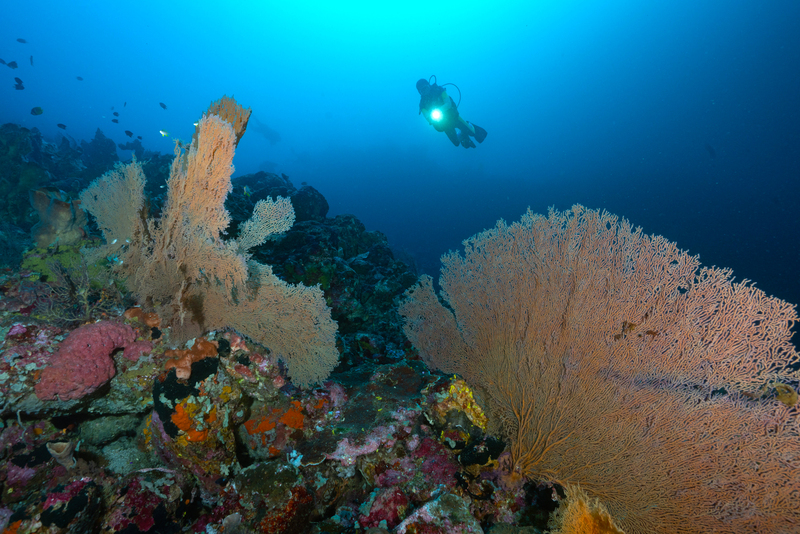 While under water, you may notice the blooming hard coral gardens that are unlike any other within the Coral Triangle. Our founders, Yessi and Kevin are excited to take their guests to explore this archipelago both above and underwater. We spend our fine afternoon, leisurely stroll through town and explore the two old forts "Nassau and Belgica". Stroll the mysterious paths that lead to interesting places, colonial-era mansions, ageless shop houses, an ancient Chinese temple, or rest on one of the 17th century cannons, which sit abandoned by the roadside. A museum occupies one of Banda's oldest colonial houses and is well worth visiting. Just before sunset, we dive in front of Maulana Hotel to gaze at the stunning Mandarinfish. 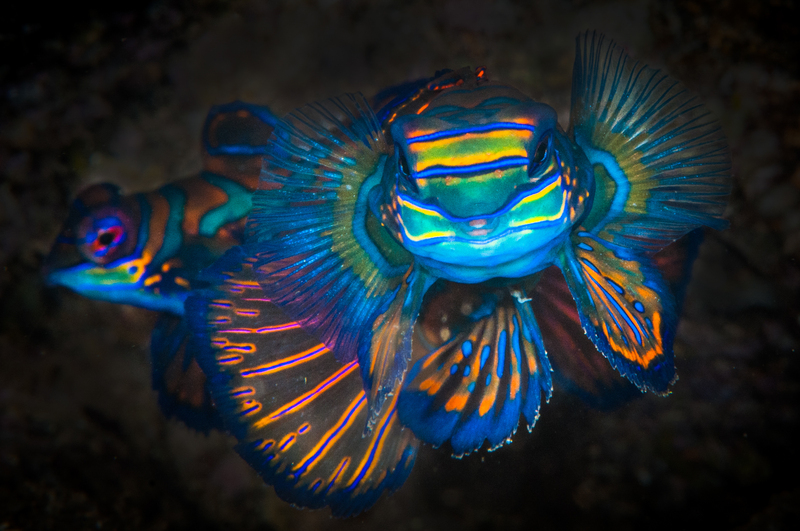 Dusk is the time when one of the most fascinating events in the marine world occurs, the mating of Mandarinfish or "Synchiropus splendidus." A small and shy tropical fish, it will appear at dusk to mate. It can be a tricky photographic subject, as it tends to avoid any bright lights. Photographers are advised to us a red lens to capture a clear image. Pinneng, our talented guest, is able to capture a couple of mandarin busy mating in front of our eyes. It is priceless. Syahrir Island is locally named Pulau Pisang "The island of Banana." Shortly after independence the island was renamed after Sutan Sjahrir, the first prime minister of Indonesia. 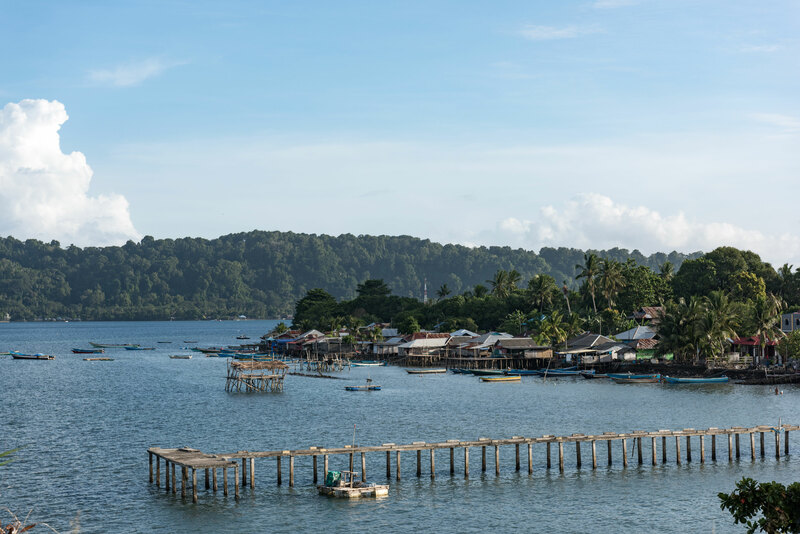 Sjahrir Island is a charming island with a population of 50 people who work on nutmeg and coconut plantations. You can dive here as it is home to coral garden of Gorgonians, sponges, and anemones as well as a larger number of colorful reef fish such as Butterfly, Surgeonfish, and fusilier. Tania, our dive instructor, cries underwater as it is so beautiful especially with an amazing visibility, as captured by Pinneng in his lens. 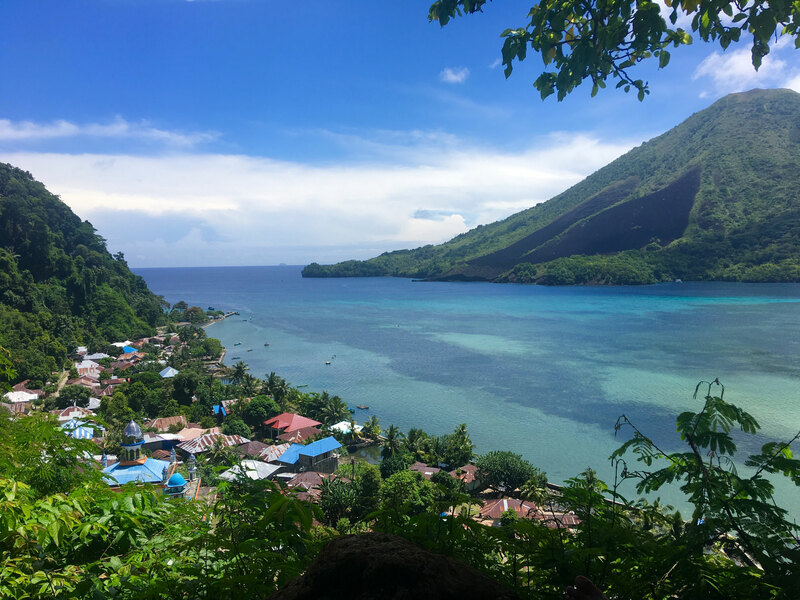 Batu Kapal, located north west of Sjahrir Island, offer the best dive site in Banda Islands. Batu means rock, while kapal means a ship. The rock is shaped like a sinking ship slipping into the deep sea. It offers the outstanding visibility that often reaches 50 meters (165 feet). There are lots of red fire gobies, blue gold tail demoiselles, pink and orange-finned anemone fish as well as many of the different species of smaller surgeons, such as the pale lipped and brown surgeonfish. Due to its massive area, this dive site can be entered more than one time. The weather does not allow us to enter the best pinnacle in the other side of the island. It still is just beautiful beyond our imagination. Banda Besar is the largest island in the archipelago. It covers by dense tropical forest where it has plenty of rainfall to grow Nutmeg, Kenari, and Cinnamon. As we walk on the 313 stairways of Lonthoir Village, it leads us Kelly Plantation where centuries old, kenari trees towering protectively over a nutmeg grove. We start our day by visiting the old plantation where we meet the locals and join them on collecting nutmeg, kenari, and cinnamon. We end our tour with a visit to the old fort, gazing at the Gunung Api with its majestic view. We feel so lucky to be here. In 1621, the Dutch named this little island Rozengain Island. Today, Hatta Island is famous for its fine white sandy beaches and crystal clear water full of sea life. It makes an ideal place for scuba diving and/or snorkeling. 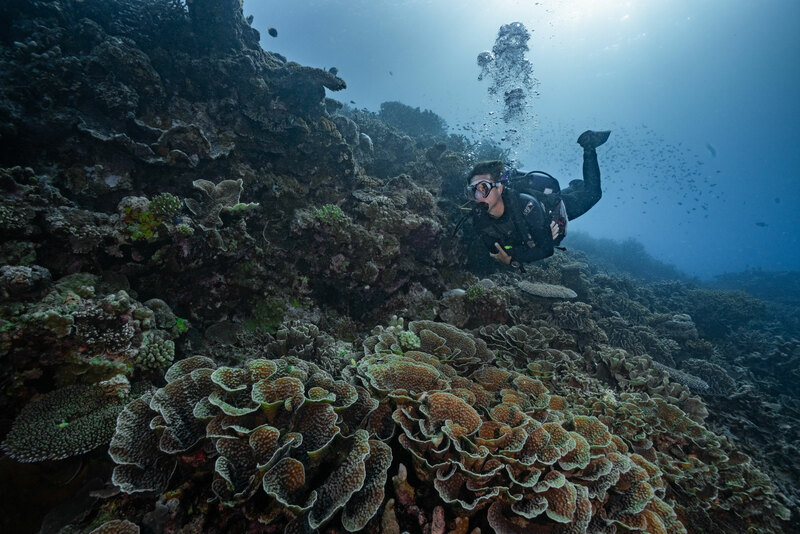 We dive to the south at Karang Hatta or Sekaru in Bandanese Language, which means "shallow area", which continued with Goa Hatta dive site in the north of the Island offers a sinking hole of the reef an entrance that forms a spectacular archway. Orangutan crabs have a home on the outer walls along with corals, sponges and gorgonian fans. As we dive deeper, we see catch sightings of eagle rays, midnight snappers, giant clams and hawksbill turtles resting in the slopes. It is truly an underwater paradise. A week seems fast this archipelago. The time stops as we really enjoy our time here. We sail to Run in our last day before we sail to Ambon for the end of this safari. After the Second Anglo-Dutch War of 1665-1667, England and the United Provinces of the Netherlands agreed in the Treaty of Breda to the status quo: The English kept the island of Manhattan, which the Duke of York had occupied since 1664. The current global epicenter of capitalism was renamed from New Amsterdam to New York. In return Run was formally abandoned to Dutch control. Few can believe that Holland would trade this spec of an island (Run) in the middle of the Pacific Ocean to the English for the entire island of Manhattan. Nutmeg and Clove were so highly prized at the time that the Dutch would have paid any price to monopolize this precious spice.You can also find the street named "Manhattan", which is located near the harbor. 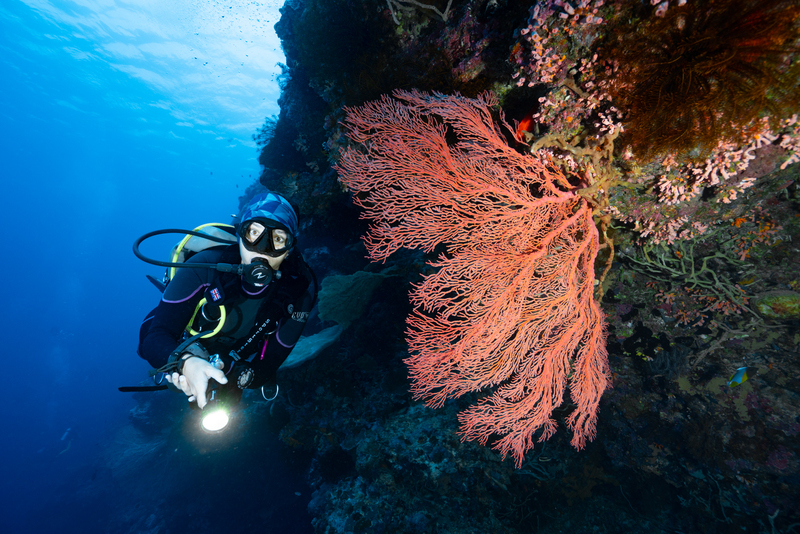 The Deep blue water surrounds Run offers superb diving from Noret Cape to Lokon Cape. 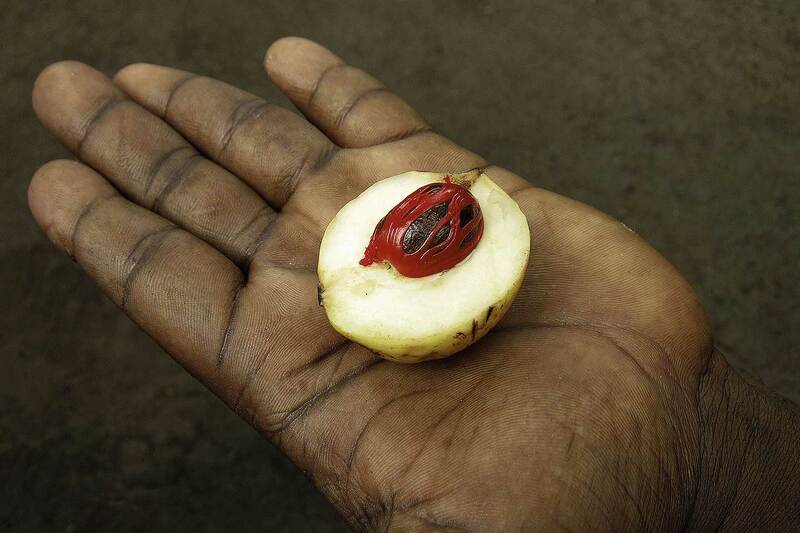 The production and export of nutmeg was a Dutch East Indies Company (VOC) monopoly for almost two hundred years. Before the Dutch retook control of the islands, the British removed many nutmeg trees and transplanted them to Ceylon and other British colonies. Over time, these alternative sources largely destroyed the value of spices found in the Banda Islands for the Dutch. 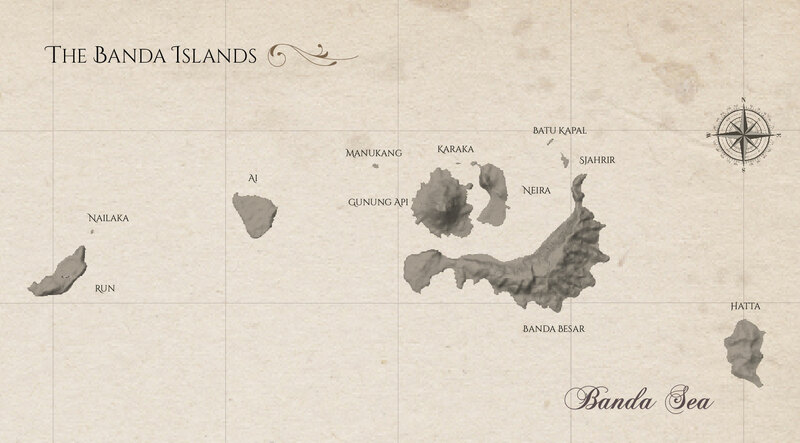 The Banda Islands are now just another chain of islands, long forgotten for its precious nutmeg trees. Today, Banda is better known for its magical underwater beauty. 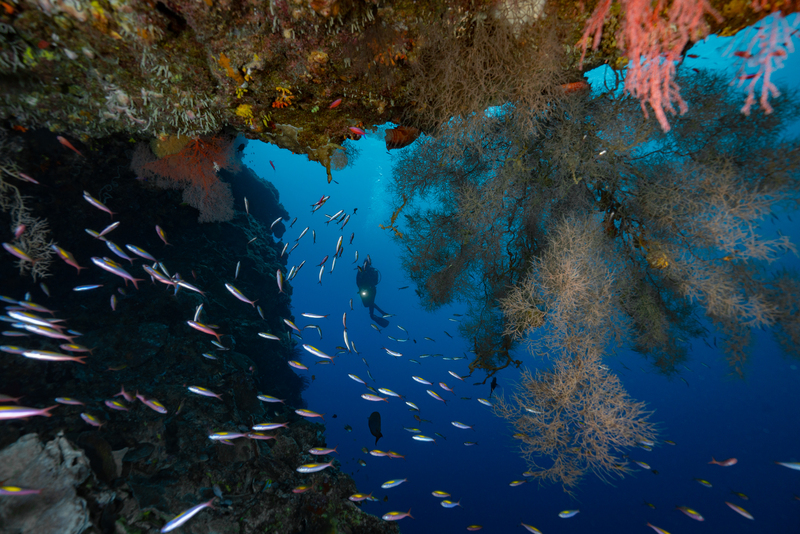 The rich nutrients of Banda Sea waters surrounding many isolated islands provide a perfect habitat for spectacular coral reefs and pelagic to shelter. The one limiting factor in being able to experience this seascape wonderland is travel logistics. It is remote and vast with an undeveloped infrastructure. Therefore, the ultimate mode of transportation is sailing on a luxury yacht. Rather than staying one remote resort, which will limit your experience to a small area, your horizon can change each day you wake up as you travel between these pristine islands. Here we are in Banda Neira Run Way enjoying our afternoon. Yessi, Kevin, Tania, Tommy, and Trinity, While Pinneng is busy taking muck diving Photography with our dive master, Yohardik. Experience something truly majestic from dark forgotten trails of the nutmeg empire to mystical coral gardens and extraordinary sea life. 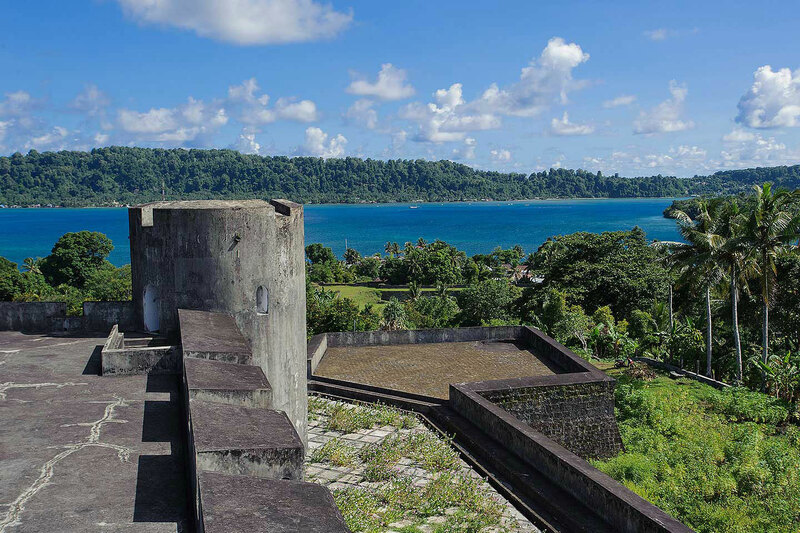 It is not hard to fall in love with The Banda Islands, where the past and present seems to mysteriously coexist. Book your Safari this October for an experience of a lifetime. 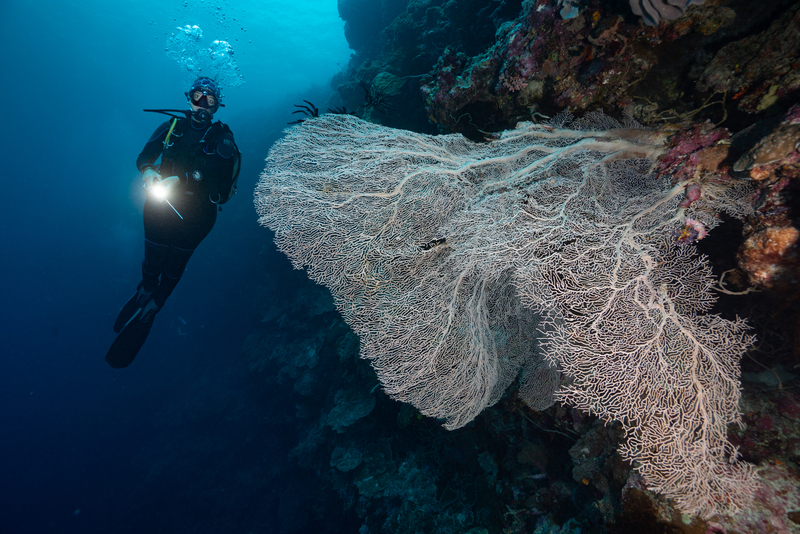 Photographs and story are property of Coral Triangle Safaris. Images are taken by Tania Araujo, Pinneng Muljadi, and Yessi Sari.